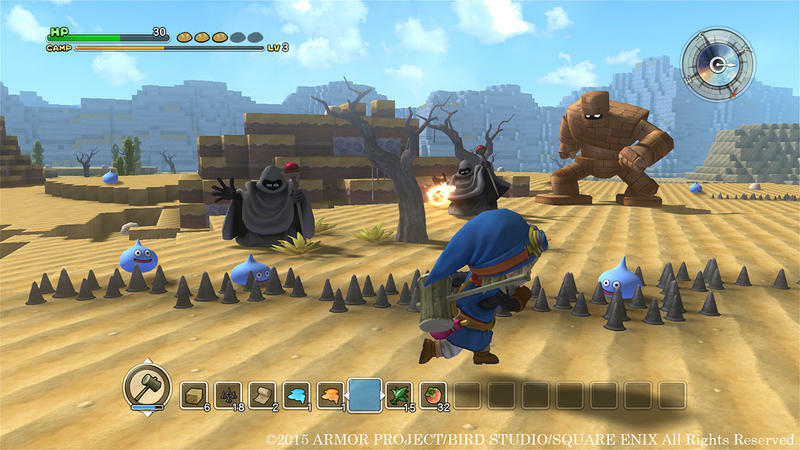 Yours truly got to play Dragon Quest Builders at Tokyo Game Show 2015. I mean, is there anything else that could have made my day better? Well, yes because I played a lot of better games than this, but even as the least memorable experience of the day, Dragon Quest Builders was at least worth my time. 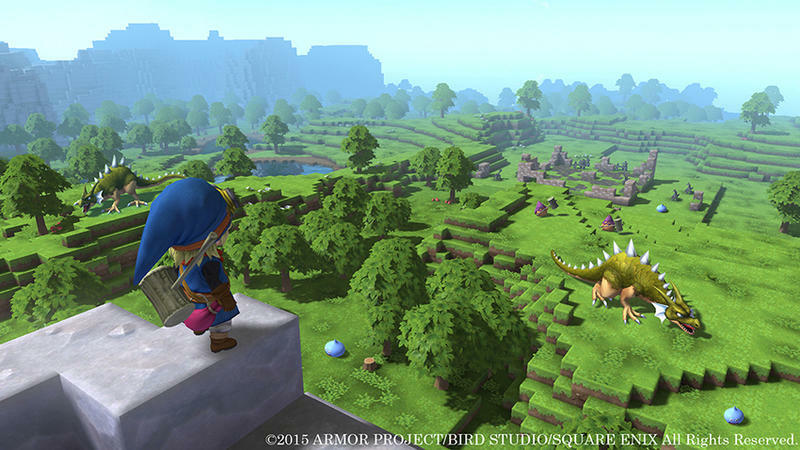 Like I’ve said many times before, Dragon Quest Builders isn’t ashamed at all about ripping off Minecraft. You’ll be given free reign of a map to mine, dig, gather, and build as you please, and weapons and the like will be available through crafting. Our hero can build on his level, one space up with the R1 button, and one space down with the L1 button. Easy-peasy. Where the game differs is through size and objectives. As far as I could tell, the demo had two main goals: build a town and build a bridge. The demo sadly cut my bridge to the dungeon short, leaving me shy of running through one of the challenges. 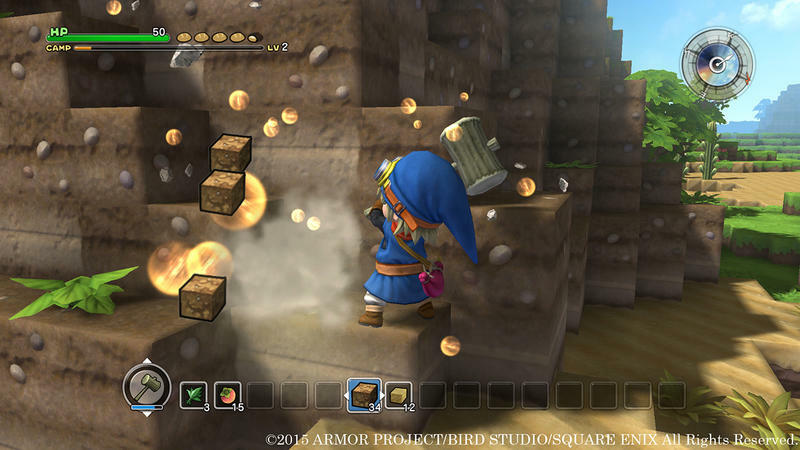 However, the town’s chests provided plenty of elements to rebuild the destroyed ruin as I saw fit. The cute apple girl from the CG trailer only thanked me for playing, not giving me any instruction. 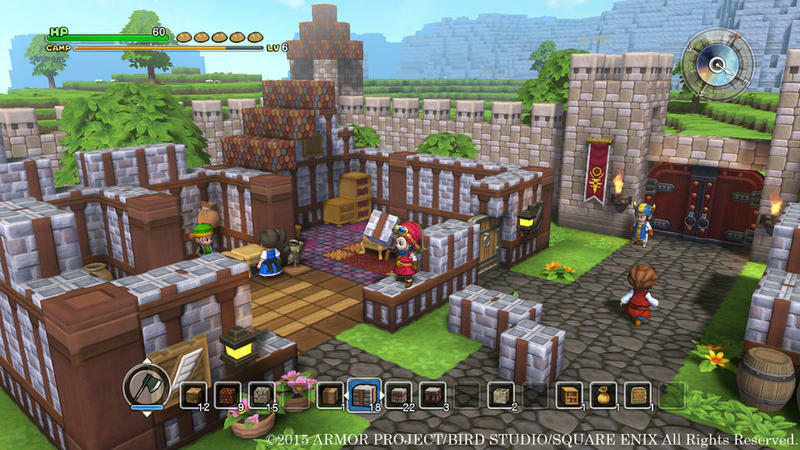 Dragon Quest Builders is light fun, and is better suited for the Vita. I don’t see myself sitting down to play this on a couch and TV, like I did for the demo. Naturally, I asked the staff about the English version. They said they were thinking about it, but nothing has been confirmed. They know there are a lot of English speaking Dragon Quest fans though, so hopefully they’ll be treating us to it soon. If not, it’s not huge enough to lose your cool over, like I have done so many times with Dragon Quest VII. The low level language barrier should’t be large enough to alienate anybody. Import this one in the meantime, and you’ll be fine.